The Doogie Howser TV show was a 30 minute comedy series on ABC about a teenager with an extremely high IQ. He graduated from medical school at age 14, becoming a very young doctor. The series mainly focused on his challenges in taking on so much responsibility so young in life and, at the same time, trying to be a normal teenager. 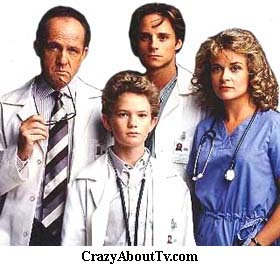 Thank you for visiting our Doogie Howser TV show page!